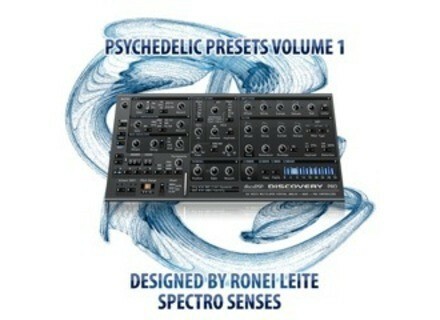 Psychedelic Presets Vol 1, Ambient / New Age Sample from DiscoDSP. Psychedelic Presets is a new free bank for Discovery Pro. 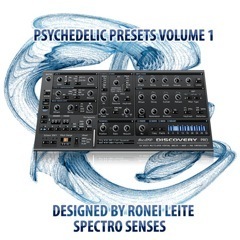 Psychedelic Presets Vol.1 is a set of 120 presets created by Brazilian musician and designer Ronei Leite aka Spectro Senses. Demos are available at www.youtube.com/watch?v=VAsI7LrFofQ and www.discodsp.com/mp3/ronei_leite_psy.mp3. Download at Members Area www.discodsp.com/members or www.discodsp.com/presets/psy.zip. 9 Soundware Releases Orchestral Disorder Orchestral Disorder is a collection of presets for Apple Logic Pro inspired by orchestras.